Horry County, never thought brushing his teeth would lead to a diagnosis of cancer. One of the bristles fell into the sink and the other was nowhere to be found. Judge McDowell believed he swallowed the other bristle. After a few days of irritation in his throat, Judge McDowell scheduled an appointment with his internal medicine physician, Dr. Jonessa Atienza with McLeod Internal Medicine Seacoast. Dr. Atienza examined him, but found no evidence of the bristle. Concerned for her patient, Dr. Atienza referred Judge McDowell to Otolaryngologist Dr. Sarah Novis with McLeod ENT Seacoast. Dr. Novis ran a scope called a flexible laryngoscopy down Judge McDowell’s throat. This type of procedure allowed her to see the areas of his throat that are not visible through the mouth. Dr. Novis detected an abnormal mass at the base of the tongue area which looked concerning as a possible early malignancy. The most common type of malignancy in this area is usually squamous cell carcinoma. Dr. Novis explained to Judge McDowell that she would need to surgically biopsy this area of his tongue. “The tissue we biopsied did not show typical evidence of malignancy, so we sent it for further testing,” said Dr. Novis. The results of the specialized testing indicated Diffuse Large B-Cell Lymphoma, a form of Non-Hodgkin lymphoma. This common type of lymphoma is an aggressive cancer that starts in white blood cells and grows in lymph nodes. Since Diffuse Large B-Cell Lymphoma can spread rapidly, Judge McDowell met with Oncologist Dr. Donny Huynh with McLeod Oncology and Hematology Associates at Seacoast, a department of McLeod Regional Medical Center, to discuss his plan of care. Dr. Huynh prescribed three chemotherapy treatments for Judge McDowell, one cycle every three weeks at McLeod Health Seacoast. “McLeod Health offers state-of-the-art diagnostic capabilities and cancer treatment options so our patients can receive care close to home surrounded by their support team of family and friends,” said Dr. Huynh. The Infusion Services team at McLeod Health Seacoast worked closely with Dr. Huynh, the McLeod Pharmacy and other support areas to provide safe and holistic care to Judge McDowell. After completion of his final treatment, Judge McDowell rang the bell in the Infusion Department to signify the hope, courage and strength it takes to walk the cancer journey. The staff’s goal is to not only provide excellent patient care, but also bring hope to patients and their families. Dr. Huynh is optimistic that Judge McDowell will make a full recovery. Statistics show the survival rate for localized Non-Hodgkin lymphoma is 75 percent. The physicians and staff of McLeod Health Seacoast understand the importance of working together as a team to help guide patients to the specialists needed when time is crucial. 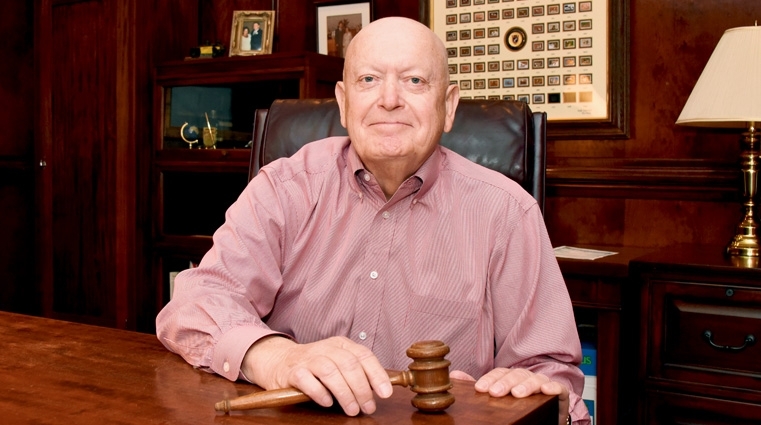 Thanks to the quick action of his expert physicians, Judge McDowell is now on the road to recovery. 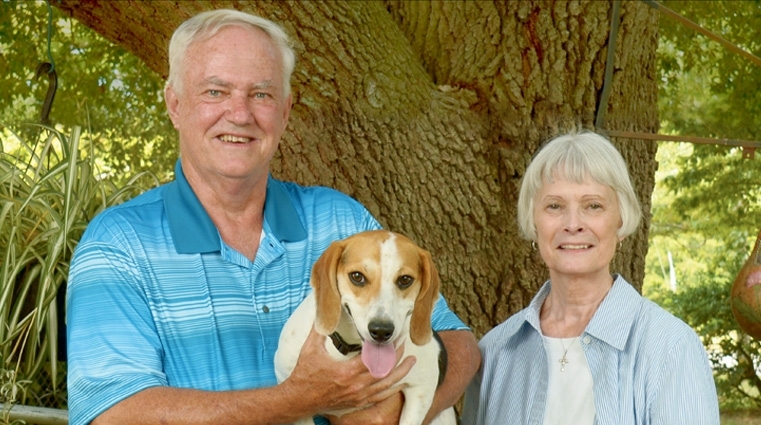 Like many retirees, Richard Ayers of Sumter, South Carolina, maintains a busy schedule – fishing, hunting, volunteering at church, and spending time with his wife, Vickie, and their beagle Bandit. While working in the yard one day, Richard suddenly spiked a high fever. He sought medical care and received treatment for strep throat. A few weeks later, however, the fever returned and continued to come and go for a few months. The fever rose again to a frightening 104 to 105 degrees. Alarmed, Richard decided to seek medical attention at the McLeod Health Clarendon Emergency Department located in Manning, South Carolina. Medical tests indicated a blockage in the bile duct, a tube that drains bile from the liver to the intestines. Richard’s medical team at McLeod Health Clarendon then arranged for his transfer to McLeod Regional Medical Center in Florence for further testing and treatment. Once there, Dr. Veeral Oza, Gastroenterologist with the McLeod Digestive Health Center, evaluated Richard’s condition and performed an endoscopic ultrasound (EUS), which revealed a pre-cancerous tumor. Given the findings, Dr. Oza prepped Richard for an Endoscopic Retrograde Cholangiopancreatography (ERCP). During the ERCP procedure, Dr. Oza inserted a stent into the bile duct to allow the blocked fluids to flow through freely. Richard remained in the hospital for additional testing to determine the severity of his condition. A biopsy of the tumor, performed using the endoscopic ultrasound, confirmed pancreatic cancer. While at McLeod Regional Medical Center, McLeod Surgeon Dr. John Richey with Pee Dee Surgical Group cared for Richard. A board certified general surgeon, Dr. Richey’s expertise includes advanced training in complex biliary and pancreatic surgery. Because Richard continued to have a recurrent fever, Dr. Richey ordered a computerized tomography (CT) scan to determine the underlying cause. Results from the scan revealed pancreatitis. Furthermore, Richard also developed an infection in his large intestine that required antibiotics. 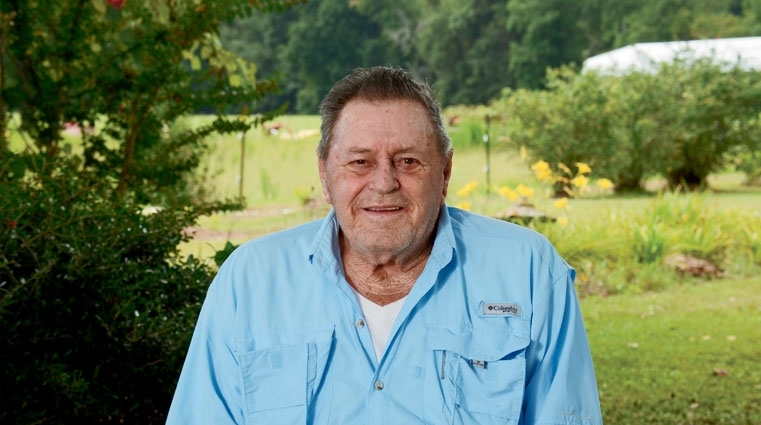 “Over the course of a few months, Richard battled numerous medical issues including pneumonia, pancreatitis, colitis, and pancreatic cancer,” said Dr. Richey. Following successful treatment of these other conditions, Dr. Richey scheduled the Whipple procedure to treat the pancreatic cancer. “The Whipple procedure is also known as a pancreaticoduodenectomy. It is a technically complex operation to treat tumors of the head of the pancreas, bile duct, and duodenum (first part of the intestine) and complications of chronic pancreatitis,” explained Dr. Richey. Prior to Dr. Richey joining McLeod Regional Medical Center, patients like Richard required transfer to other regional hospitals for this procedure. Richard remained in the hospital from December 11, 2017 through the first of January 2018. During his recovery time, Richard lost more than 50 pounds and required both physical therapy and home health care. 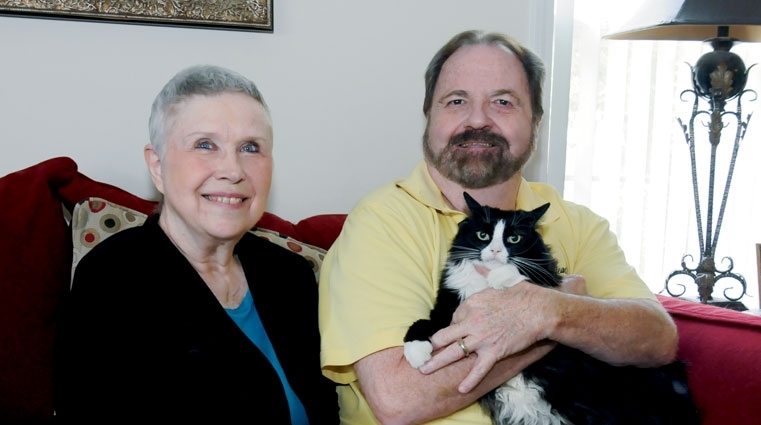 Once he returned home, Richard credits his wife for taking care of his incision. “Without a medical background it was challenging for me to help Richard, but McLeod Home Health provided both of us the assistance we needed at home. Our exceptional nurse and physical therapist helped Richard while also teaching me how to care for him. We valued the time they spent with us. Everything fell into place to get him well again,” said Vickie. “Since the surgery, many people have told me how lucky I am,” said Richard. “I sincerely appreciate Dr. Richey’s youthful, energetic personality as well as his impressive level of knowledge. During my hospitalization, he stopped by my room every evening before going home to talk with me and see how I was feeling. He spent time explaining everything and answered all my questions. He went above and beyond what I could ever expect from a surgeon. Today, nearly one year after the surgery, Richard once again enjoys a busy retirement schedule. And, no one could be more thankful to have him back than Vickie and his beloved companion, Bandit. Few surgeons change course midway through their illustrious careers to learn advanced, innovative technology. However, McLeod Thoracic Surgeon Dr. Wayne Holley did just that. After caring for patients for more than 20 years, Dr. Holley called a “time out” in 2013 to learn a more advanced form of minimally-invasive surgery to treat patients with lung cancer and other diseases of the chest. This sabbatical involved a one-year thoracic surgical oncology fellowship at Memorial Sloan Kettering Cancer Center in New York. The oldest of the residents to undergo training in robotic-assisted surgery at 54 years old, Dr. Holley realized he could still keep pace with the younger physicians. A Board Certified Thoracic Surgeon, Dr. Holley received his degree in medicine from Vanderbilt University School of Medicine in Nashville, Tennessee. He completed a general surgery residency at the University of Tennessee Health Sciences Center in Memphis. Dr. Holley also completed a thoracic surgery residency at the University of Mississippi Medical Center in Jackson, Mississippi. He began his medical career performing cardiac surgery in Kingsport, Tennessee. He then spent 20 years performing vascular, thoracic and cardiac surgery in Albany, Georgia. After completion of his fellowship in New York, Dr. Holley cared for patients in Savannah, Georgia. “Today, most of the training programs ask cardiothoracic surgery residents to declare a specialty -- cardiac surgery or thoracic surgery. Thirty years ago, cardiothoracic residency programs expected us to perform both heart and lung surgery,” explained Dr. Holley. “I also see this reversal of roles in the area of robotic surgery. During their residencies, surgeons now learn about robotic surgery from day one and demonstrate a high level of comfort performing these surgeries by the completion of their residency. However, they demonstrate less confidence performing the type of surgery I originally trained in with large, open incisions. Robotic-assisted surgery, a form of minimally-invasive surgery, allows the surgeon to perform many types of complex procedures with more precision, flexibility and control than traditional techniques offer. During a robotic-assisted surgery, the surgeon operates through a few small incisions, controlling the robot’s every move while seated at a console in the operating room. The surgeon’s hand, wrist and finger movements guide the robot manipulating the surgical instruments inside the patient. In essence, the robot becomes an extension of the surgeon’s hands. The surgeon views the surgical site through a high-definition 3-D camera. This magnified imagery provides enhanced visibility and improved precision for exact treatment and greater dexterity for the surgeon. 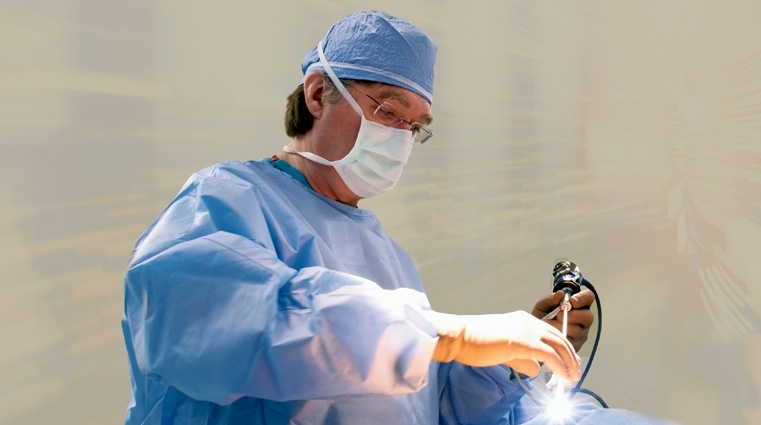 Minimally invasive thoracic surgery produces better outcomes, much less pain, better staging of lung cancer, fewer postoperative complications and a two-day hospitalization as opposed to eight to ten days, according to Dr. Holley. “In industry, that means the patient returns to work within two to four weeks instead of 12 weeks which benefits both the patient and the employer,” he said. Dr. Holley brought his expertise in robotic thoracic surgery to McLeod Regional Medical Center in December 2017. All McLeod surgeons who offer robotic-assisted surgery as an option for their patients undergo additional specialized training. These surgeons perform robotic-assisted procedures in general surgery, thoracic surgery, gynecology and urology at McLeod Regional Medical Center and McLeod Seacoast. McLeod now has 14 surgeons trained in robotic-assisted surgery and two da Vinci Robotic Surgical Systems. “As more McLeod Surgeons adopt this technology, the hospital will soon have capacity for a third robot,” said Dr. Holley. Prior to Dr. Holley’s arrival, McLeod Surgeons utilized a third generation robot, the da Vinci Si. The medical center installed the latest version available, a fourth generation robot, da Vinci Xi, in February 2018. The number of thoracic surgeons performing robotic-assisted surgery in South Carolina remains minimal with three surgeons in Greenville, two in Charleston and one in Spartanburg. “This perfectly situates McLeod to provide this level of care from the Midlands to the Coast so patients do not have to travel to the Upstate or Lowcountry. “McLeod instills an institutional culture of individual care and concern for patients that I find exemplary,” added Dr. Holley. Some people live every day in fear of a sudden attack of intense pain shooting up from their jaw and across their face. Often, they turn to a dentist because their symptoms mimic a toothache. They are unaware that the source of their pain is a nerve located millimeters from the brain stem that transmits sensations from the face to the brain and controls the muscles used for chewing. Debbie Floyd experienced this debilitating pain and the loss of her teeth over a span of nearly 30 years. She finally found relief in the form of a very precise radiation procedure that is typically used to eradicate cancer. “In my early 20s, I began experiencing severe pain in my jaw and my face,” said Debbie. “I thought it was related to my teeth so I went from dentist to dentist seeking relief. I would undergo root canals, but the pain always remained after each procedure. 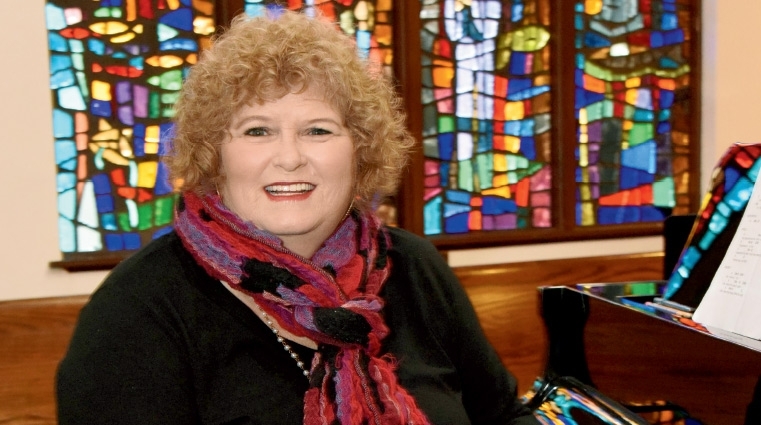 A talented music teacher and performer on stage and in church, Debbie said the worst part was how the pain would take over her life. “It caused me to be agitated and irritable. I simply wanted to be left alone when the pain kicked in. Trigeminal neuralgia is a chronic pain condition that affects the fifth cranial nerve also known as the trigeminal. One of the most widely distributed nerves in the head, the condition causes extreme, sporadic, shock-like or sudden burning facial pain. The trigeminal nerve is one of 12 pairs of nerves that are attached to the brain. The nerve has three branches that conduct sensations from the upper, middle and lower portions of the face as well as the oral cavity to the brain. Blood vessels pressing on the root of the trigeminal nerve are often the main cause of the condition. The pain can range from sudden, severe and stabbing to a more constant, aching, burning sensation. Attacks may increase over time and medication to control the pain can become less effective. Debbie made an appointment with Neurosurgeon Dr. James Brennan to determine if she indeed suffered from trigeminal neuralgia. An MRI confirmed what Debbie had suspected. Treatment for the condition often begins with medication. Dr. Brennan prescribed Trileptal, a medication used to treat seizures, to control Debbie’s pain. After six months, Debbie returned to Dr. Brennan and told him that the medicine only worked if she took more than he prescribed -- sometimes as many as six pills. Dr. Brennan suggested a procedure that could ablate or block the nerve. The procedure called stereotactic radiosurgery (SRS) uses computer imaging to direct highly focused beams of radiation at the site where the trigeminal nerve exits the brain stem. The treatment causes the slow formation of a lesion on the nerve that disrupts the transmission of sensory signals to the brain. “The treatment for trigeminal neuralgia requires extreme precision and accuracy because we are targeting and irradiating a nerve located only three to four millimeters from the brain stem,” said Dr. Spencer. The TrueBeam STx linear accelerator at McLeod is specifically designed for the delivery of stereotactic radiosurgery. McLeod offers the only active linear accelerator (LINAC) based stereotactic radiosurgery program from the midlands to the coast. Since installation in October 2014, a total of 132 patients have received intracranial stereotactic radiosurgery. Of that total, 13 patients have undergone treatment for trigeminal neuralgia like Debbie. Anne Kirby describes her radiation treatment for a brain tumor as “just a little blip in the road.” Thanks to advanced technology at McLeod and an excellent medical team, the tumor on Anne’s brain was destroyed in only one treatment. In 2014, Anne suffered from severe back pain as a result of complex spinal issues. Having undergone surgery for this condition previously, Anne returned to Dr. James Brennan, a Neurosurgeon with Florence Neurosurgery and Spine, for treatment. Dr. Brennan determined that Anne needed additional surgery to alleviate her pain. After meeting with the urologist and undergoing further testing Anne learned that her left kidney needed to be removed because of the tumor’s size. A month after the kidney procedure, Anne finally underwent surgery for her back condition. Following the two operations, Anne sought the care of McLeod Oncologist Dr. Sreenivas Rao for treatment of the kidney cancer. Dr. Rao sent Anne to Dr. Brennan to discuss removal of the brain tumor. Dr. Brennan explained to Anne that the tumor could be easily removed with the use of the new state-of-the-art radiation unit at McLeod. Fortunately for Anne, she had the opportunity to receive the advanced services McLeod provides in its Center for Cancer Treatment and Research. The program includes a newly installed TrueBeam STx linear accelerator, which is specifically designed for the delivery of Stereotactic Radiosurgery (SRS) treatments. These treatments require extreme precision and accuracy to deliver large doses of radiation to the treatment site, reducing the amount of time during treatment and resulting in fewer treatments. “This non-invasive treatment approach utilizes a set of multiple beams that intersect at a single point on the tumor. The radiation beam hits the tumor with a very high dose of radiation, but gives the brain just a low dose of radiation that it can tolerate. It literally is like taking a knife and cutting these tumors out without having to cut,” explained Dr. Brennan. Prior to treatment, a stereotactic protocol MRI is performed which involves double the contrast traditionally given, allowing the tumor to appear even more enhanced than it would on a conventional MRI. “This means we are scanning the brain every millimeter not every five millimeters which is the standard with a conventional MRI so five times as many images through the brain are produced. As a result, we frequently find tumors that were not previously seen,” said Dr. Spencer. Key to stereotactic radiosurgery is the planning required to map out the patient’s treatment. This involves a medical physicist who engineers the treatment plan and radiation dose required to precisely ablate the tumor while minimizing harm to healthy tissue around the lesion. Treatment is scheduled once the radiation oncologist and neurosurgeon approve the plan and ensure that everything is set to match up perfectly when the patient is on the table. Karen Jones, the McLeod NeuroOncology Nurse Navigator, prepares patients like Anne for the day of treatment. She explains to them what to expect and answers any of their questions. Prior to the procedure, Karen remains with the patient as they are immobilized to keep their head from moving during treatment. This requires either a frame that is bolted to their head with four pins or the application of a special face mask. Anne has been among a total of 110 patients treated with intracranial stereotactic radiosurgery by the McLeod Neuro-Oncology Team since October 2014. This includes 13 patients suffering from trigeminal neuralgia, a painful nerve condition that requires the team to radiate a nerve located only four millimeters from the brain stem. McLeod offers the only active linear accelerator (LINAC) based stereotactic radiosurgery program from the midlands to the coast. “The next closest comparable treatment program is the cancer center at Duke in North Carolina,” said Dr. Spencer. The hospital installed a second linear accelerator capable of performing stereotactic body radiation therapy in 2016. “I am grateful that I did not have to go away to receive my treatment. I literally came down the road from my home to McLeod,” said Anne. Since her procedure in April 2015, Anne has undergone four MRIs that have all been clear with no evidence of any new tumors. Today, Anne reports that she is doing well. She married her high school classmate, Gerald Kirby, in July of 2016. The couple reconnected at their 50th high school reunion and are enjoying spending their golden years together. Anne gives credit for her excellent outcome to God and the extraordinary care and services she receives from her medical team, especially Dr. Rao, Dr. Brennan and Dr. Spencer. She remains under Dr. Rao’s care for the treatment that is keeping the tiny tumors in her lungs from growing. Each day is another victory. Deborah Mackey moved from a small town in Duchess County, New York, to Little River, South Carolina, 14 years ago with her husband, Gene. A retired school bus driver, mother and grandmother, Deborah enjoys all that South Carolina has to offer. 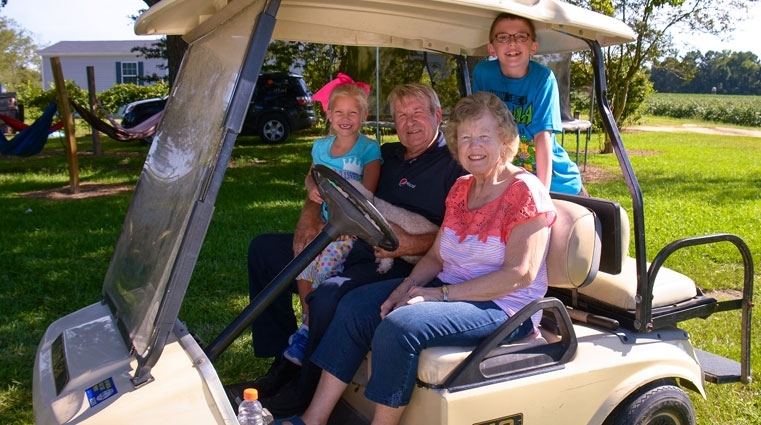 She and Gene love to take trips and experience the freedom that retirement life brings. Living life to the fullest, Deborah never thought that her happy, go free way of life would come to a halt. Dr. Poole recommended that Deborah undergo a colonoscopy to detect the source of the bleeding. “I remember thinking there must be a mistake. The news did not sink in at that moment. In a state of shock, I removed all the decorations because I was no longer in a cheerful mood. I went to bed that night and it finally dawned on me that Dr. Poole was talking about me. Me! Not the man next door, but me,” recalls Deborah. On October 12, 2015, Deborah arrived at McLeod Seacoast for surgery. The operation lasted longer than anticipated. “During surgery, Dr. Poole found that it was a more complex situation,” said Gene. “He determined that Deborah had ovarian cancer that had spread to the uterus and the colon.”Dr. Poole immediately called in Dr. Joycelyn Schindler of McLeod OB/GYN Seacoast to assist with the surgery and perform a hysterectomy on Deborah. Following her recovery from surgery, Deborah had to undergo six months of chemotherapy. It did not take long for her to become very close with the Infusion Services staff at McLeod Seacoast. Infusion Services at McLeod Seacoast began in May of 2015 with space for four patients to receive chemotherapy. During the past year, the need for infusion care has grown rapidly and this Fall the department is expanding to accommodate 11 patients at one time. The new wing in the Same Day Services suite has been designed to meet the needs of the growing community McLeod Seacoast serves and offers convenient access to infusion care. With treatment behind her, Deborah says she is growing stronger each day. She enjoys going to the recreation center, walking and taking day trips with Gene discovering all the charming small towns and area festivals along the coast. She also has more time now to spend with her children, Melissa, Nicole and William and her grandchildren, Gianna and Nicollette. “Now that everything is over, I think about how it all happened. I see the faces of the people who cared for me, and I know I will never forget them. I am forever grateful to Dr. Poole and his staff and everyone at McLeod Seacoast. There is a lot of love in that hospital,” added Deborah. Carolyn Bellamy is known for her strength and positive outlook on life. Anyone she comes in contact with walks away a little happier. Carolyn has worked in Nutrition Services at McLeod Loris for 20 years. As part of the staff at McLeod Loris, she is accustomed to taking care of sick patients and their families, comforting them with kind words. This is what she likes most about her job. But, the day Carolyn learned she had Stage 2 breast cancer, she was the one who needed encouragement. The mammogram results were abnormal, so an appointment was made for Carolyn to see McLeod Surgeon Dr. Amanda Turbeville the next day. After examining Carolyn, Dr. Turbeville ordered an ultrasound guided biopsy. Carolyn was out of work three to four weeks after surgery. “I had very little pain after surgery. I followed Dr. Turbeville’s instructions on recuperating, but I was determined to get back to work quickly. Working at the hospital is therapy for me. Helping others is what got me through this experience,” explained Carolyn. Carolyn now has time to get back to focusing on what is important in her life: God, family and friends. She is active in her church, where her husband, Elton, has been the pastor for 15 years. She also enjoys spending time with her threeyear-old grandson, Micah. Ultimately, Carolyn’s faith and determination enabled her to survive this journey. “The Grace of God is what saved me and placed me in Dr. Turbeville’s hands. I lost my hair and my appetite, but I never lost faith. I want to be a witness for others facing this same journey that you can beat it. I also want to remind women that early detection is vital." At 79-nine-years old, A.V. Thompson is a busy man. He tends to the cows on his farm in Cades, South Carolina, and manages the 70 properties he leases. In addition, he still “piddles” around the garage he built on the farm for his mechanic business. It appears nothing can slow him down -- not even a diagnosis of lung cancer. Today, he tends to his cows and sells the livestock. He also builds trailers and erects fences. It was not unusual for a boy growing up in the south to begin smoking at a young age. A.V. started the habit at 12 years of age, during a time when generations of families smoked, explained Gayle, A.V.’s wife of 55 years. Established in 2014, the McLeod Lung Cancer Screening Program involves undergoing a low-dose CT scan. It is recommended for people between 55 and 80 years of age who have smoked one pack of cigarettes per day for 30 years or two packs per day for 15 years. McLeod Pulmonologist Dr. Vinod Jona explained that A.V.’s CT scan showed a nodule of 11 millimeters in size. “Based on his history of smoking and the size and the shape of the pulmonary nodule, we knew it was very suspicious for cancer. “Using video assisted thoracoscopy, we biopsied the nodule and confirmed that A.V. had lung cancer,” said Dr. Huber. “I performed a lobectomy and removed the upper half section of his left lung. His lymph nodes were negative, and the pathology indicated the cancer was a stage one." Following the diagnosis, A.V. quit smoking and says he does not miss it. Besides a lingering cough that Dr. Jona told him may occur because of the scar tissue in his lungs, A.V. reports that he is doing well. While he was in the hospital, A.V. also learned he was the first person diagnosed with lung cancer since the screening program began at McLeod.